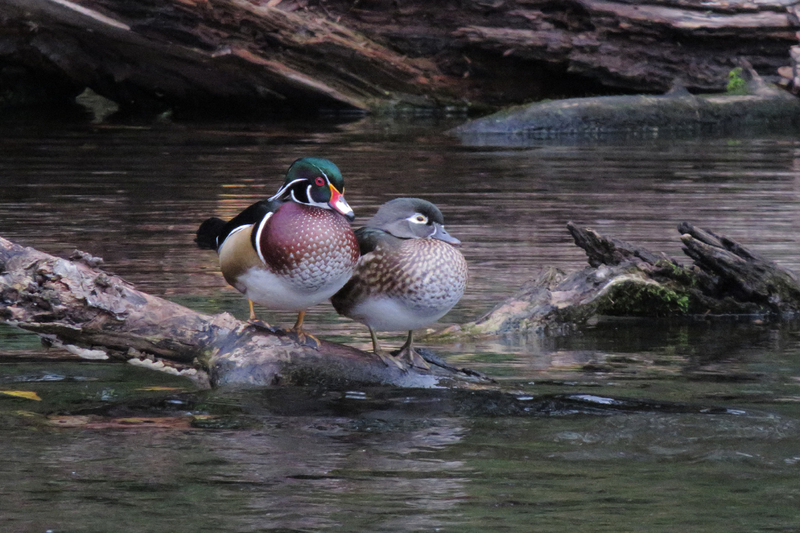 As many people are jumping on the “bird local” bandwagon, little Commonwealth Lake Park in Beaverton has been getting a lot of birding attention and producing an increasing array of interesting species. 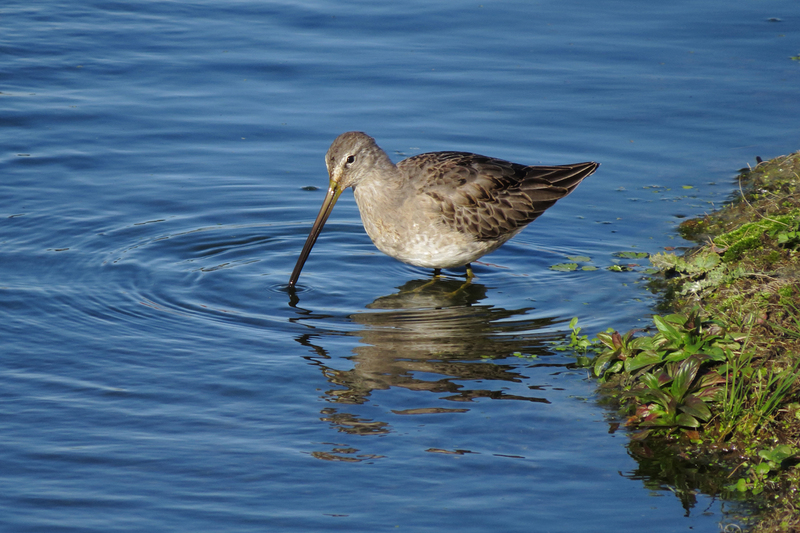 One of the stars of this winter is this Virginia Rail. 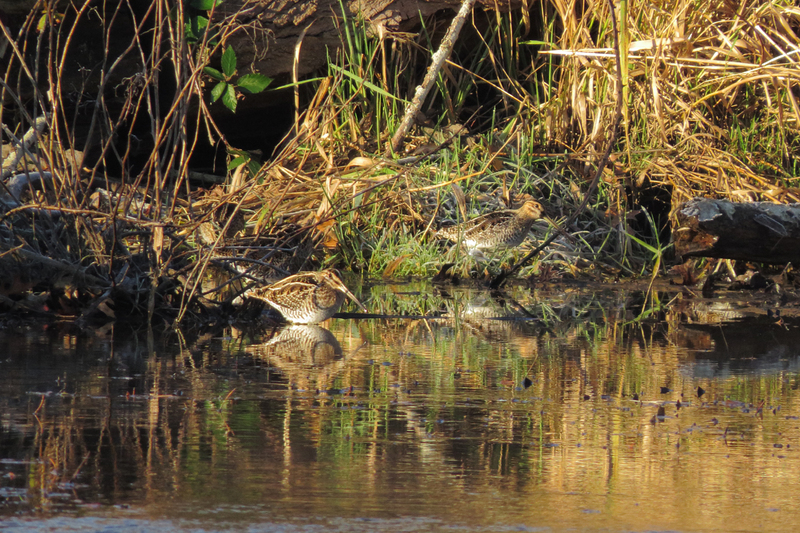 While Virginia Rails are scarce in winter, and almost always hard to see, this individual has been venturing out into the open to feed, sometimes onto the athletic field. 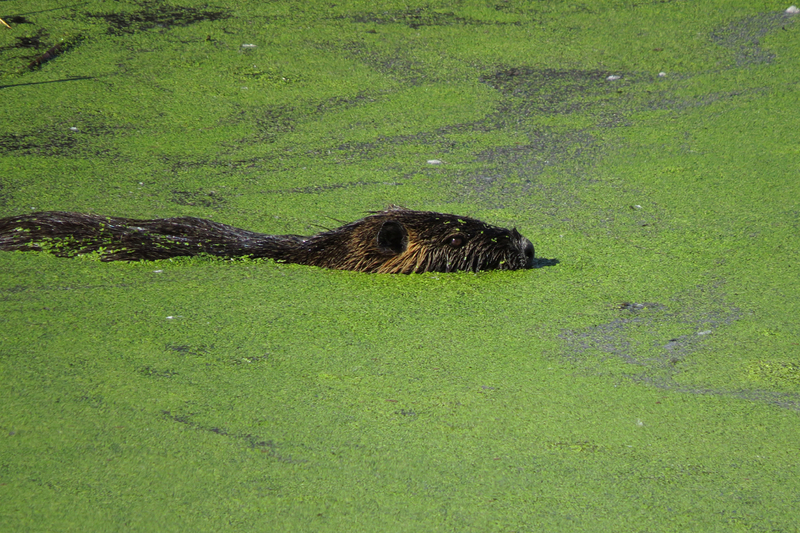 We should appreciate the value of little parks like Commonwealth Lake to wildlife. 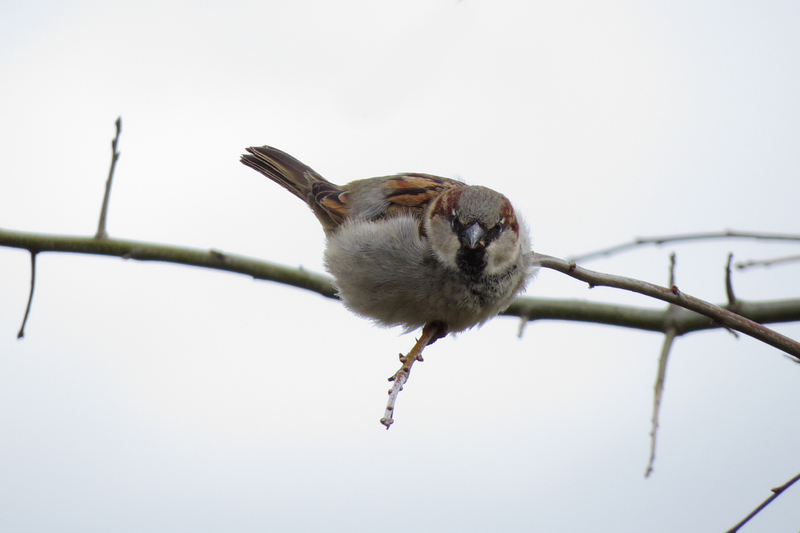 But we should also remember that the reason birds can be easy to see in such places is because the habitat is so limited. 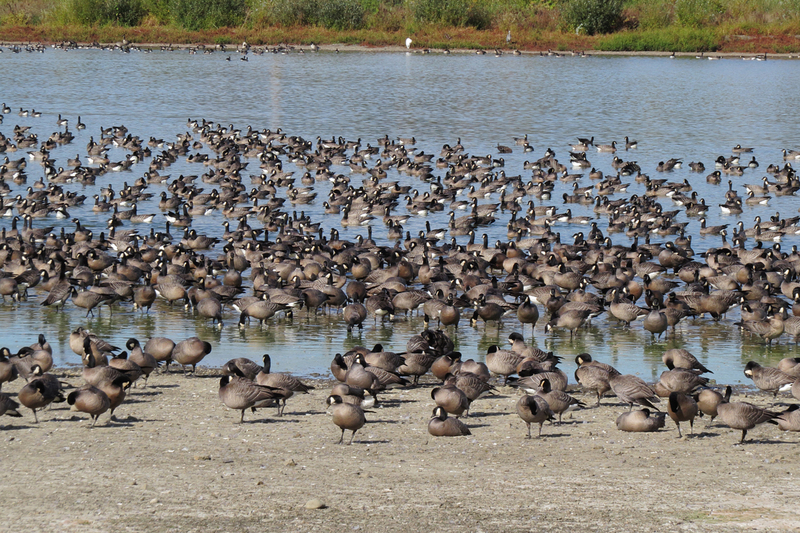 This park is a small isolated patch of wetland surrounded by high-density housing. 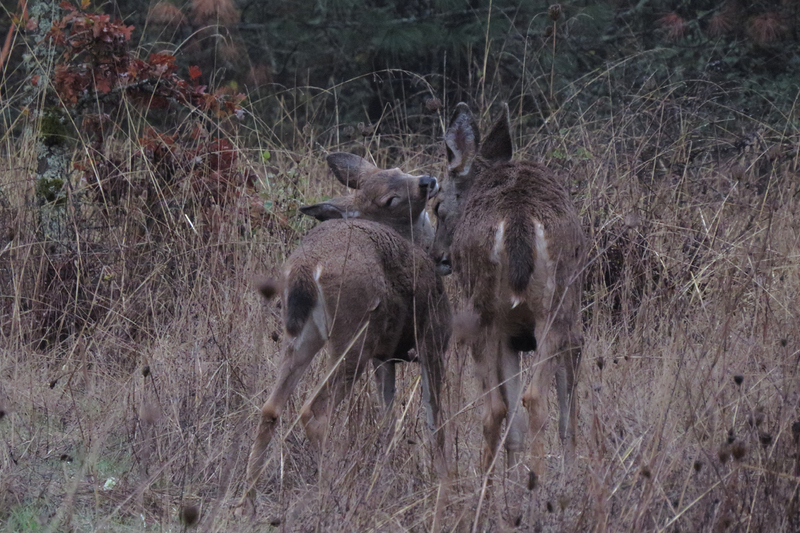 Wildlife thrives in large tracts of habitat. 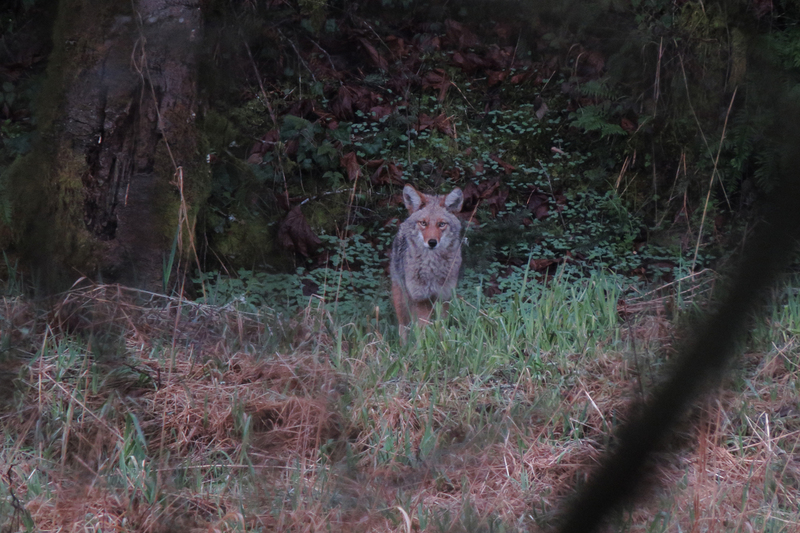 Since large tracts are no longer available in many areas, we should at least strive to preserve corridors between smaller parks to allow wildlife to safely travel from site to site, and to allow young to disperse. February weather can be the most challenging, with cold temperatures and frequent rain. We desperately need the moisture so I am not complaining, but it is harder to get motivated to get out into the cold and damp. 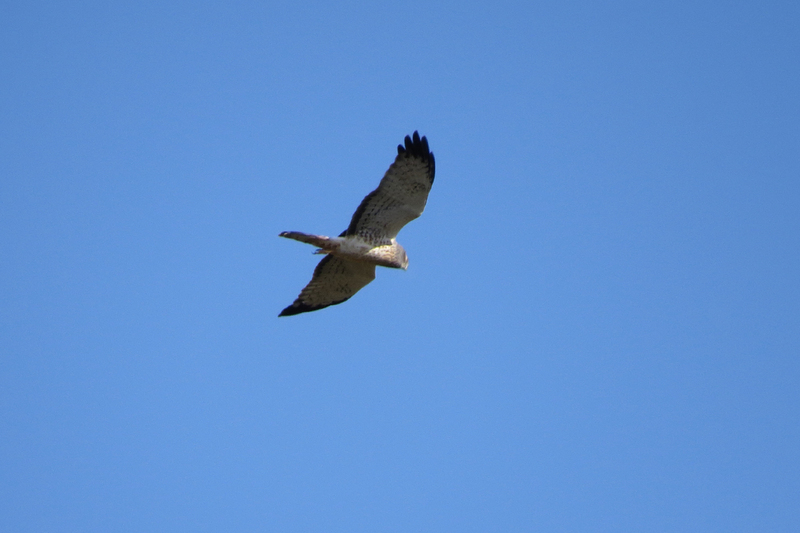 I continue to concentrate on my 5-mile radius, with my total currently sitting at 70 species for the year. I expect that to jump up a bit this week. 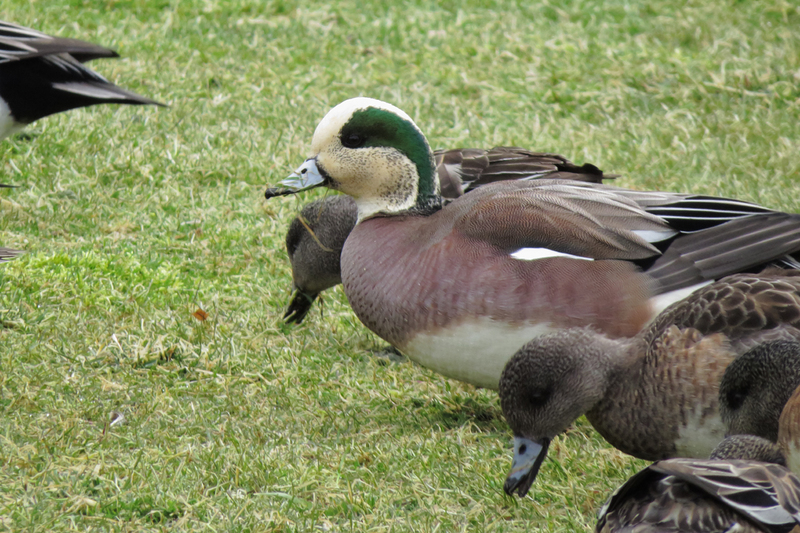 This lovely American Wigeon has been hanging out at Commonwealth Lake Park. 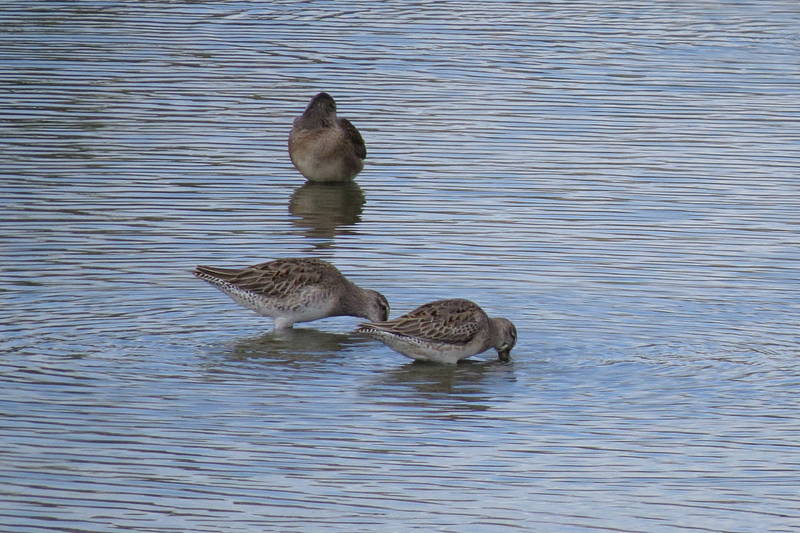 Birds with this much white on the head are known as Storm Wigeon. 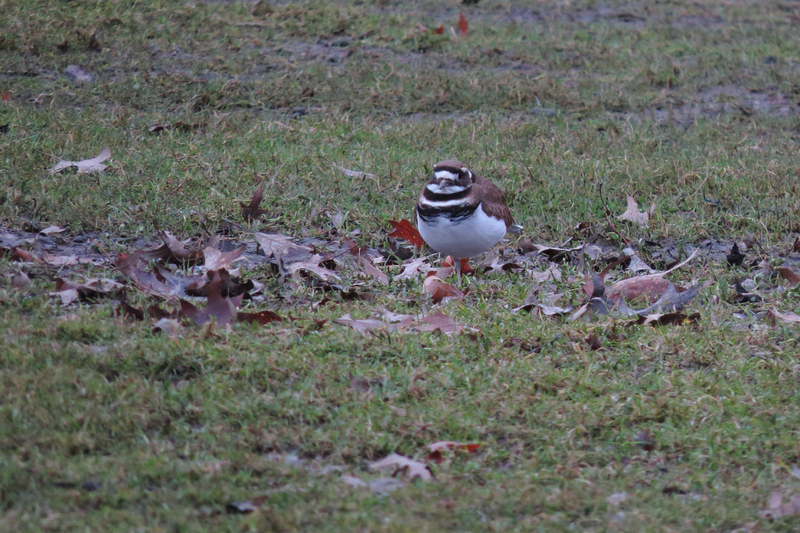 This Killdeer, along with two others, was doing a pretty good job hiding in a little clump of leaves. 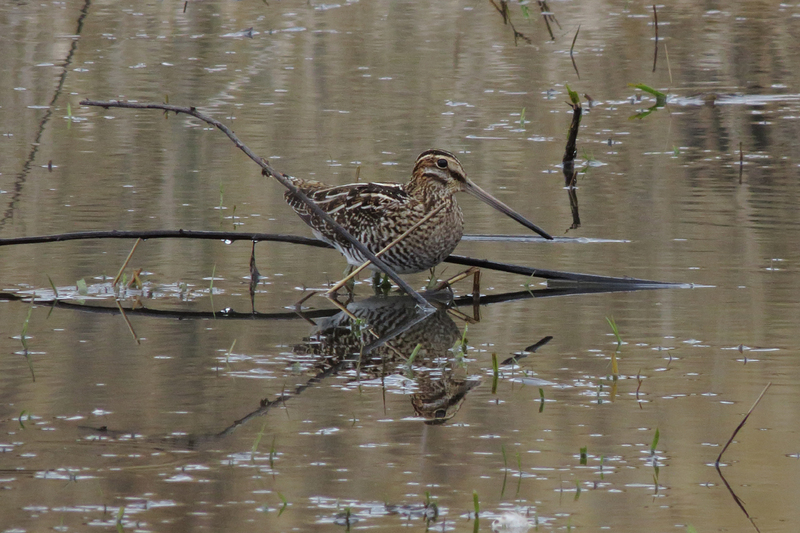 Wilson’s Snipes continue to be common at Commonwealth. 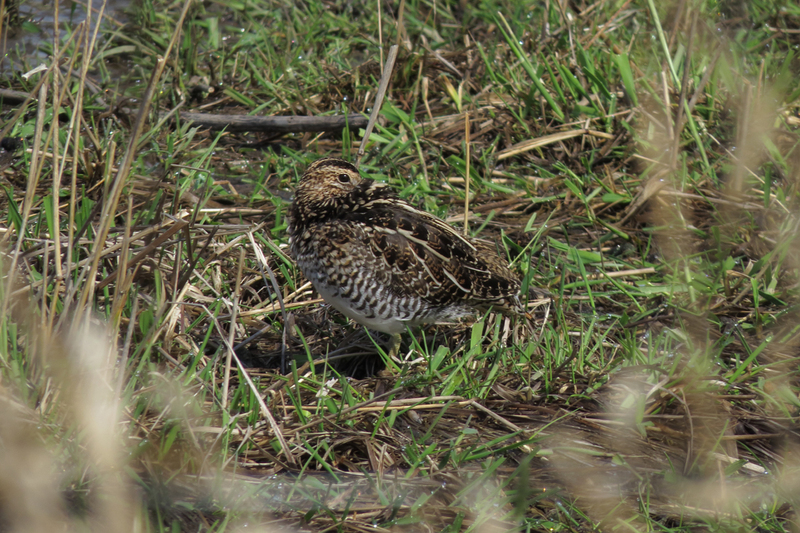 That long bill helps him blend in with the sticks. 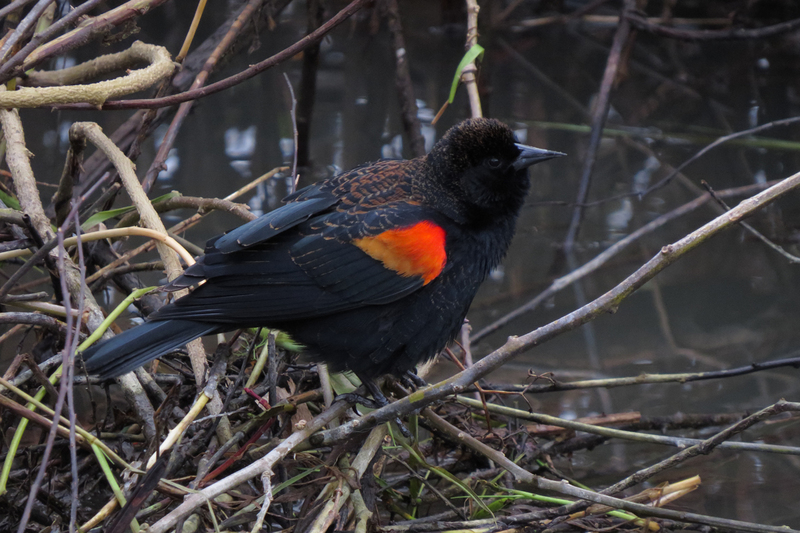 Red-winged Blackbird in fresh spring plumage. 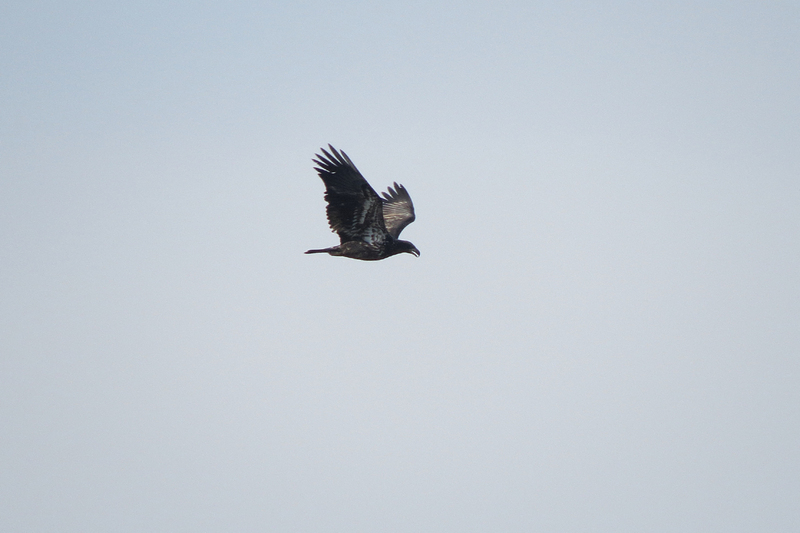 I imagine those rusty fringes will wear off to reveal a more uniform black outfit soon. 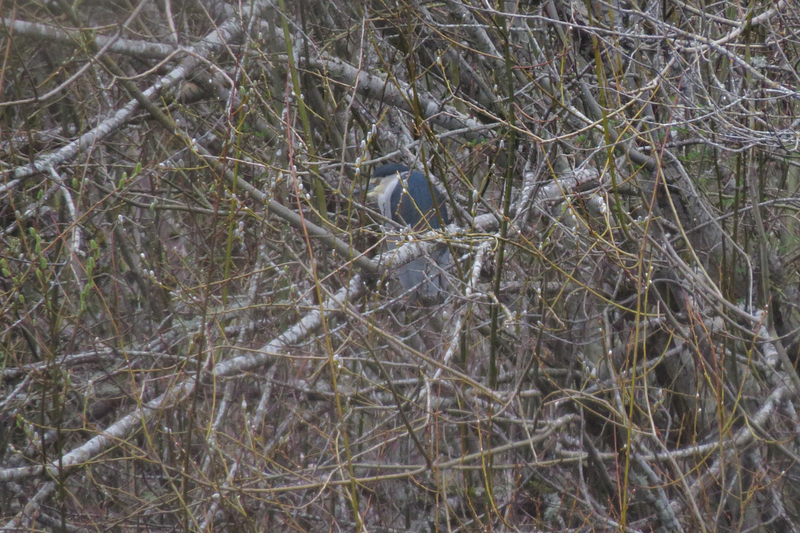 For the month of January, virtually all of my birding has been conducted within my 5 Mile Radius. 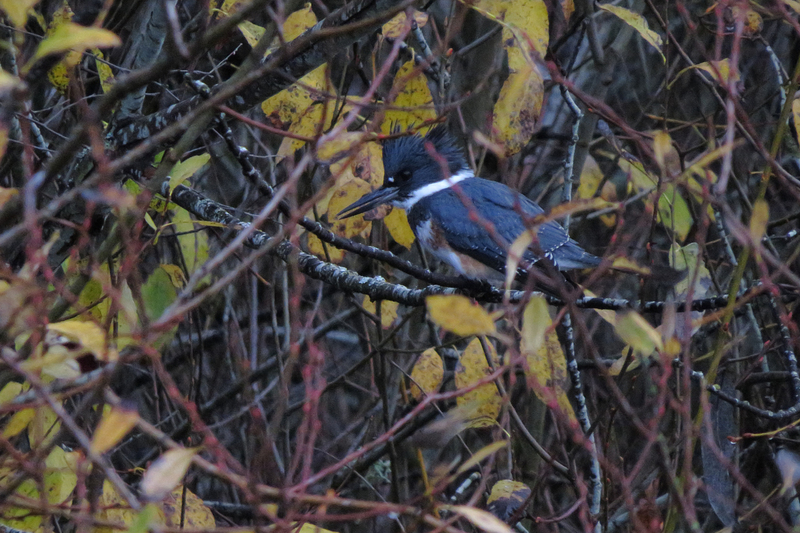 This included dedicated birding trips and keeping track of birds while at the dog park and on family hikes. 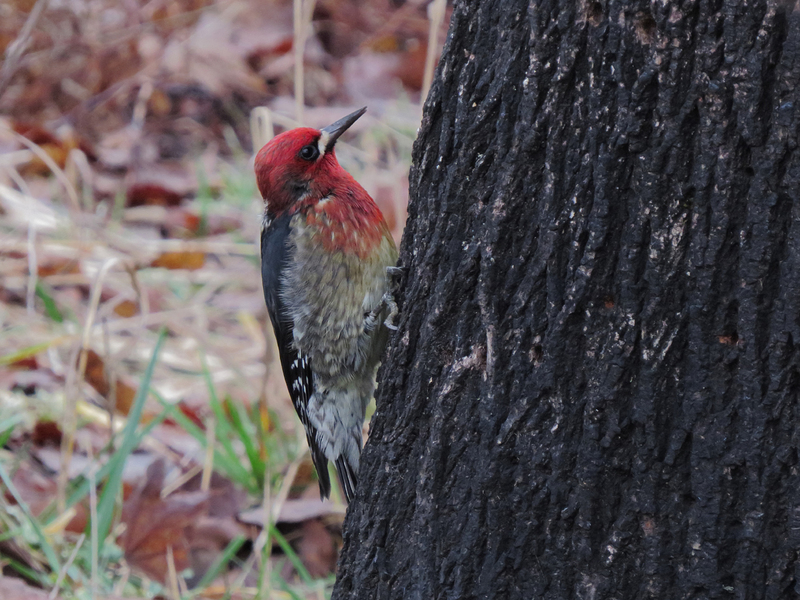 (This Red-breasted Sapsucker was at Greenway Park.) 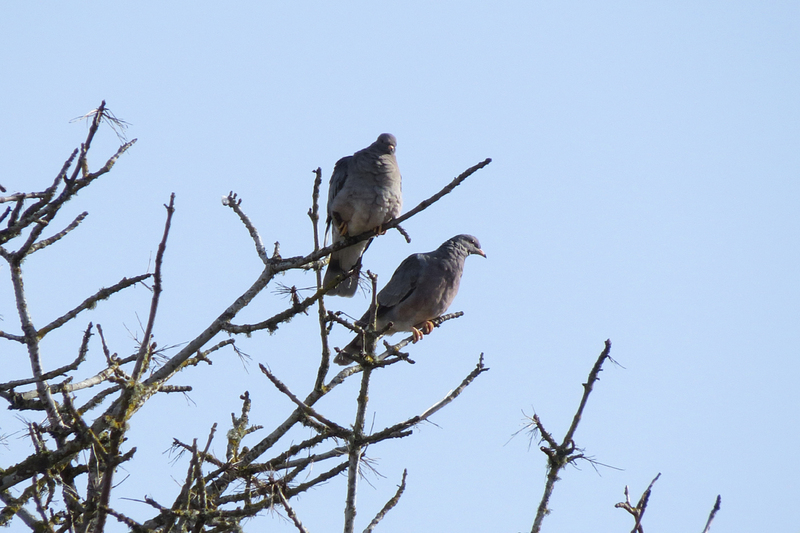 Some birds came quite easily, like the Barred Owls that sang in my yard and at the dog park, while others were hard to find, like Rock Pigeon which I didn’t see until January 30. The purpose of the 5 Mile Radius challenge, in addition to reducing your gas consumption, is to explore under-birded sites close to home. 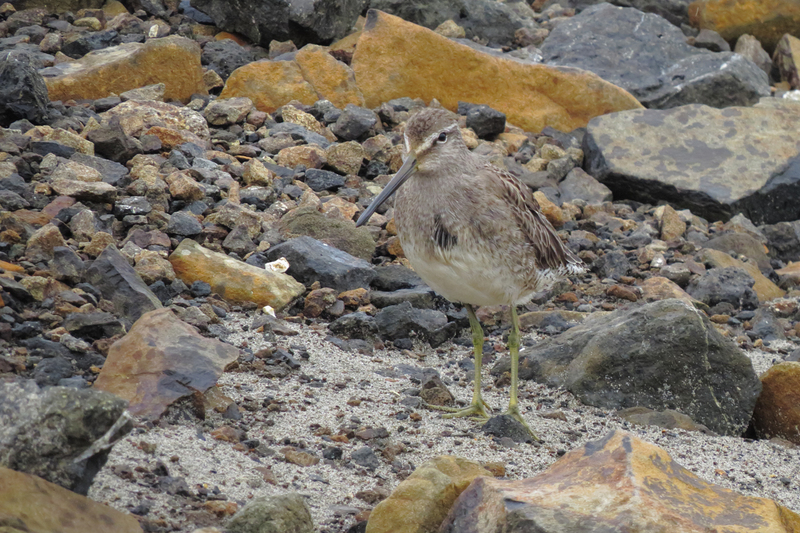 I visited several sites I had never birded before, and explored some familiar sites in greater detail. 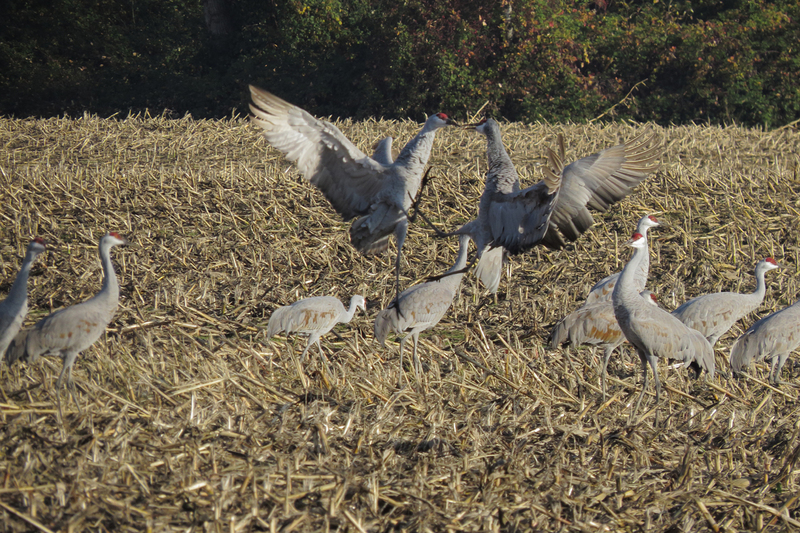 The hope is that you will find previously unknown great birding spots, but this was not my experience. 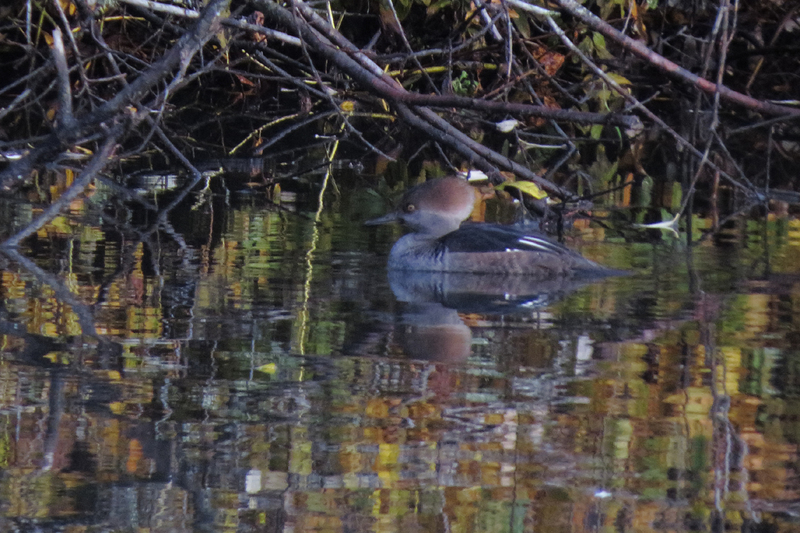 Of the new places I visited so far, all of which are eBird “Hotspots,” none of them are sites I am particularly motivated to visit again. 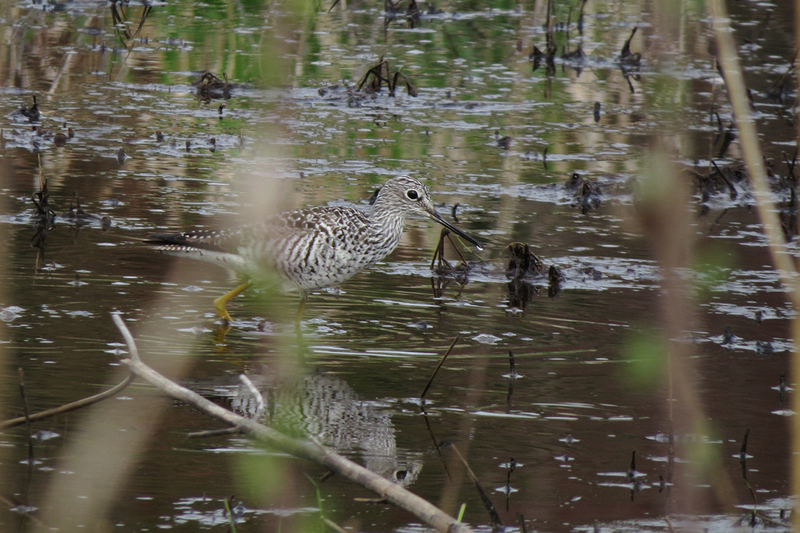 My circle has a few great birding sites that include wetlands, mixed forest, and hilltop migrant traps. If I concentrate my birding on five sites, I will have the opportunity to see the vast majority of species likely to occur within my circle. 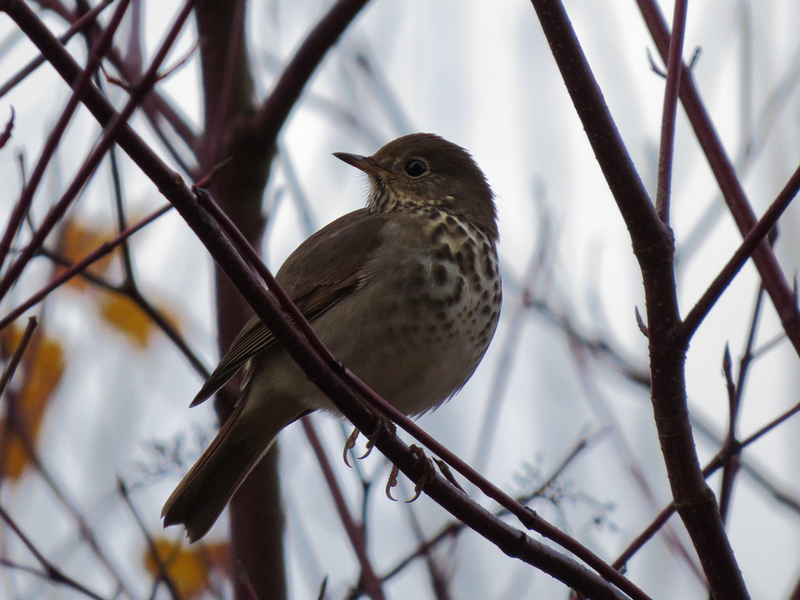 Yes, great birds can show up anywhere. 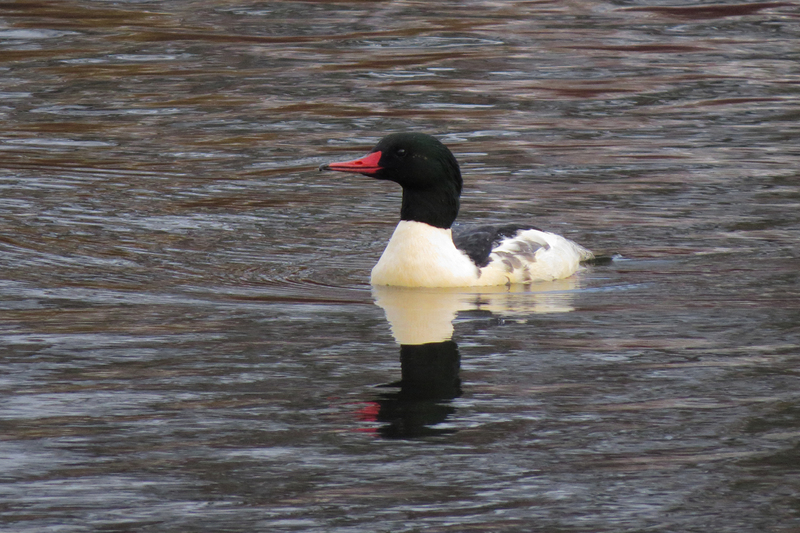 If you are lucky enough to be able to go birding every day, then it makes a lot of sense to visit as many different sites as possible. 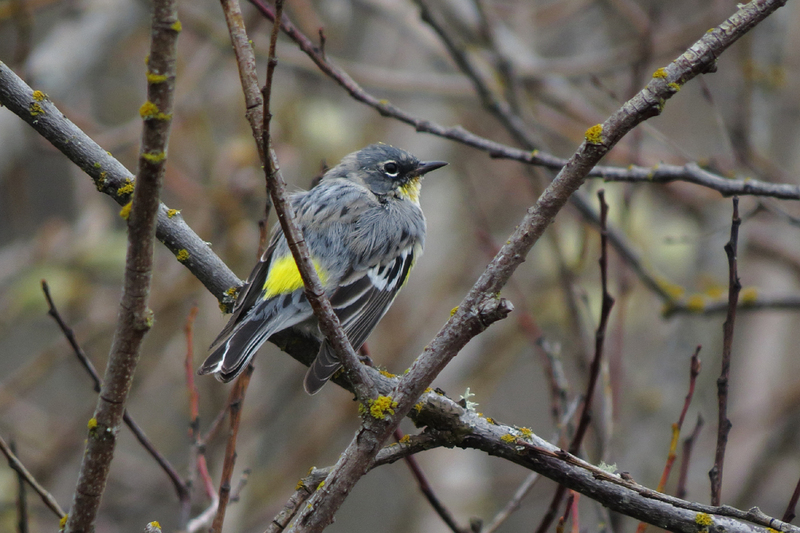 But if your birding time is limited because you have a life (oops, did I say that out loud? 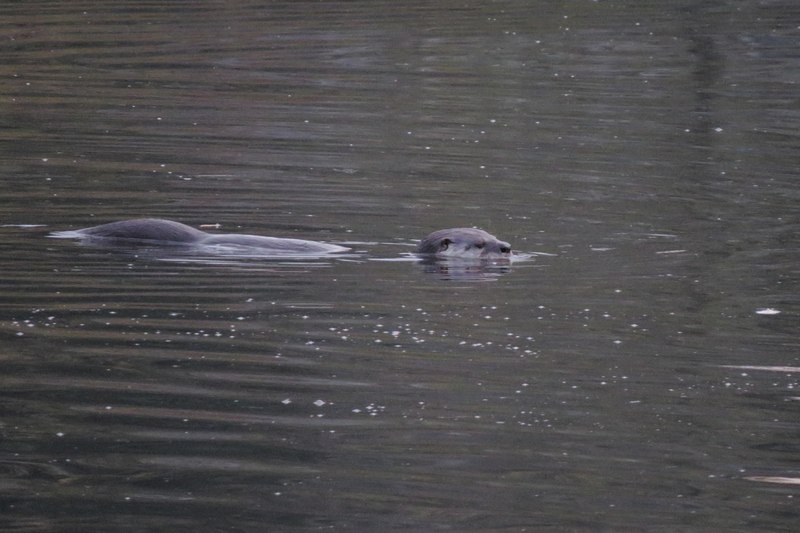 ), I think it makes more sense to spend your time in the best habitats. 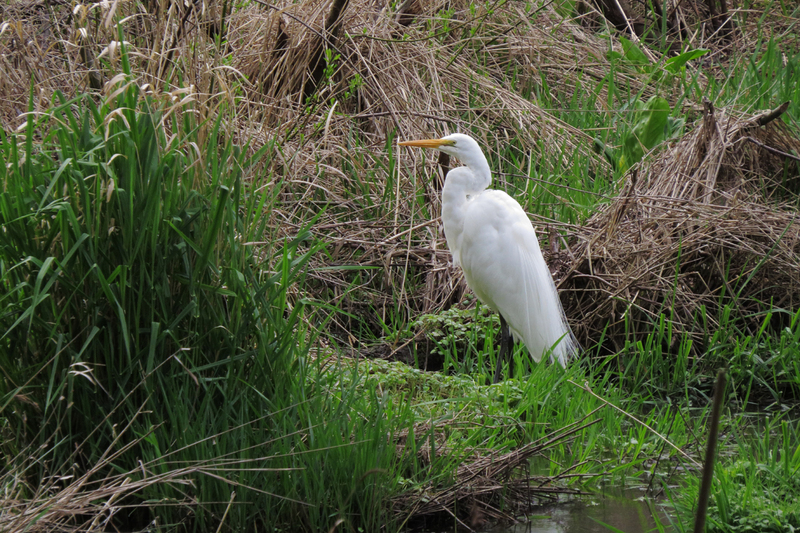 I also enjoy my birding more when the habitat is more pleasant. 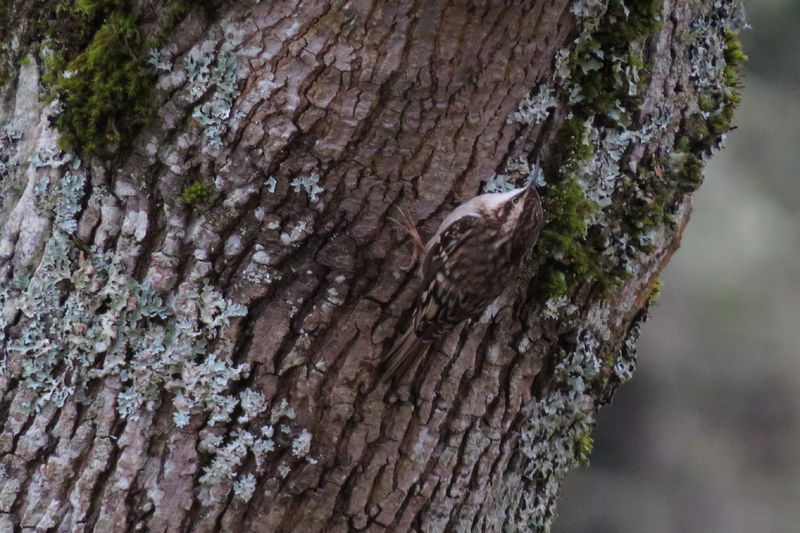 I have peeked into people’s back yards to see rare birds (Brambling, Black-throated Blue Warbler, Ovenbird, Costa’s Hummingbird), but I would much rather hike around a nice park. Here are a few photos from the past month. 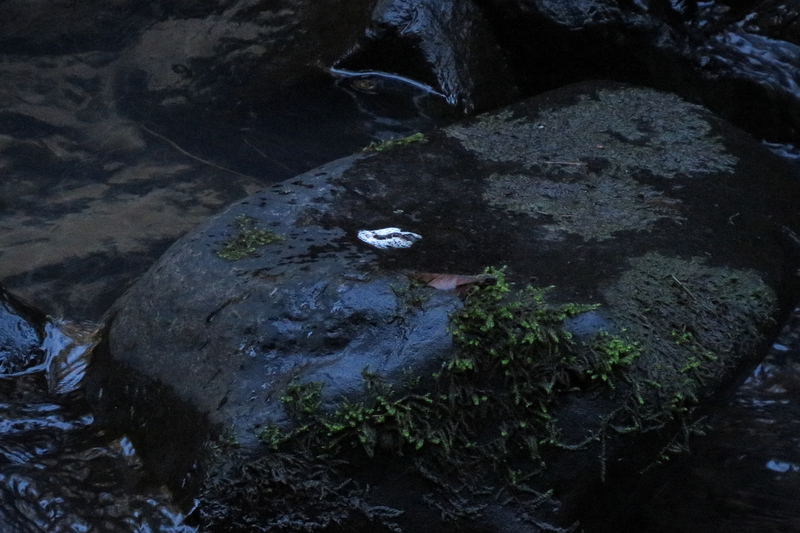 I dipped on the American Dipper that has been hanging out in my circle this winter, but I did see lots of dipper poop, so that should count, right? 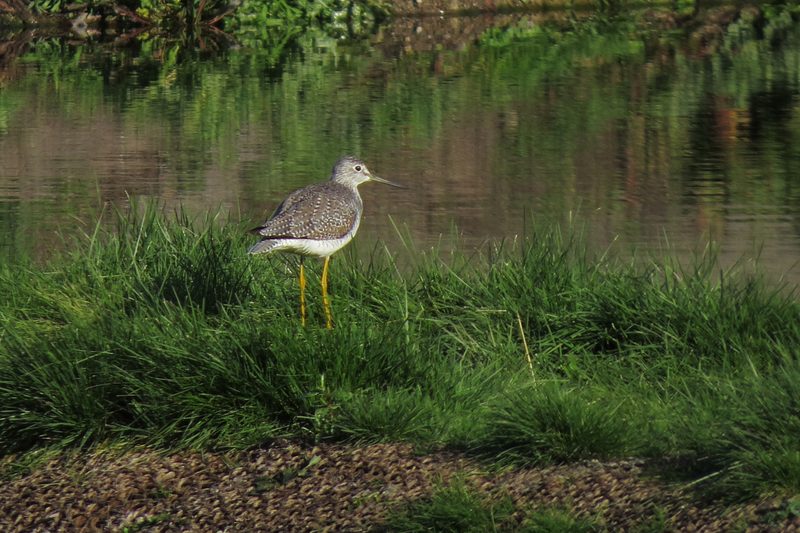 I visited Fernhill Wetlands in Forest Grove on a rare sunny December day. The sun is so low at this time of year that if there is no cloud cover the sun is either at your back or directly in your eyes. 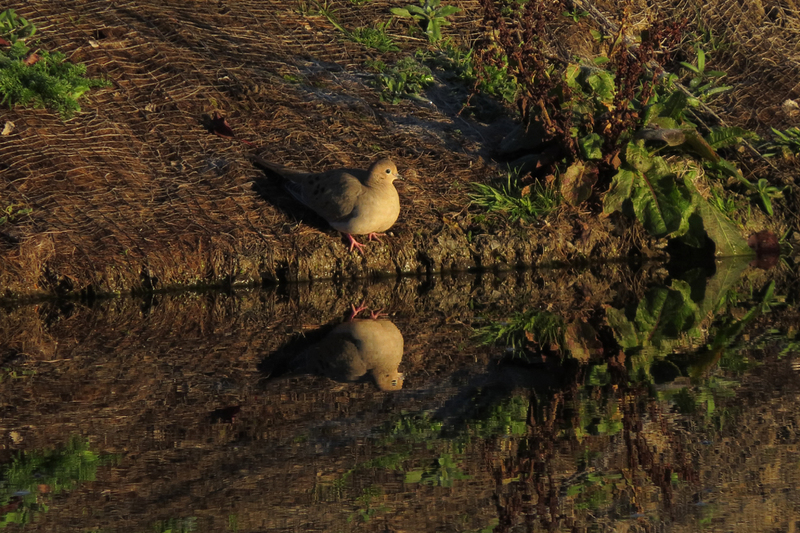 The latter makes birding very challenging, but the former can produce some lovely light, as seen on this Mourning Dove. 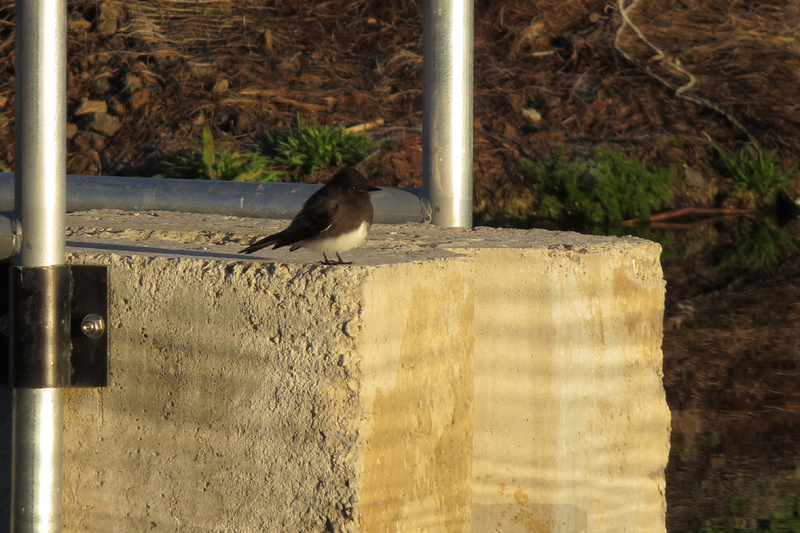 At least one Black Phoebe has been hanging out near the ponds behind the picnic shelter this fall. 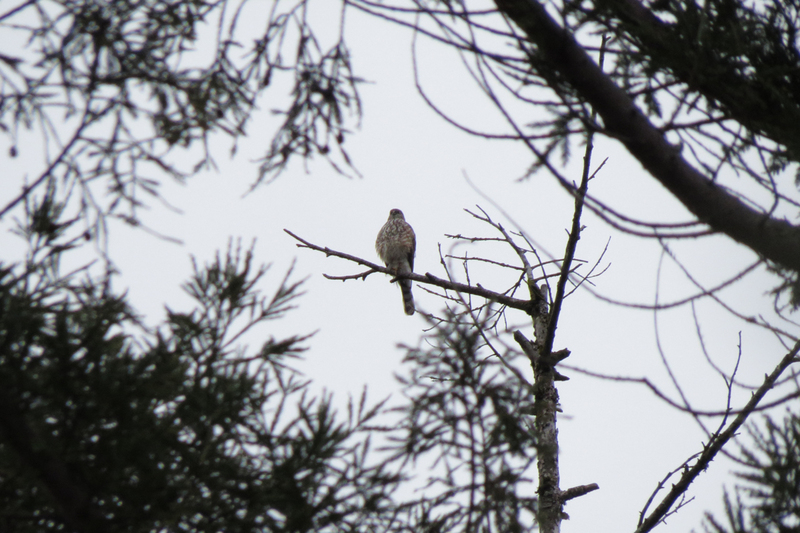 Black Phoebes were unheard of in Washington County a few year ago. 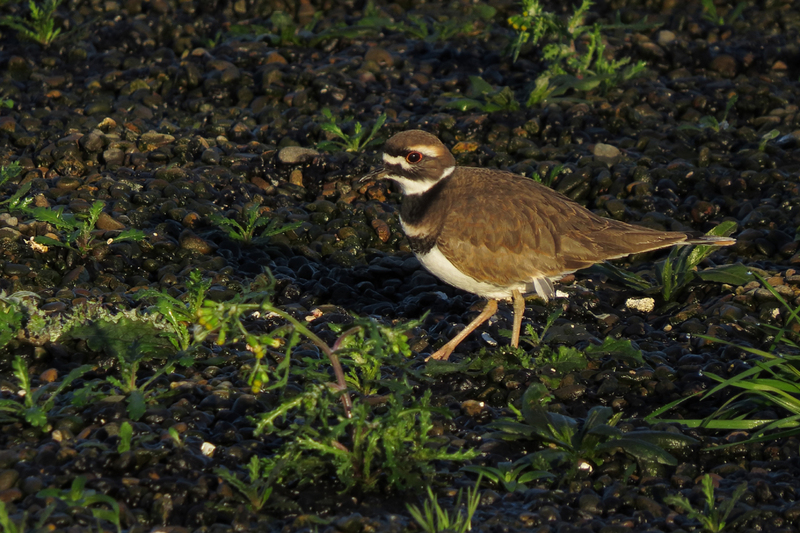 This Killdeer was probing with her foot to try to stir up food in one of the new gravel filtration tanks. 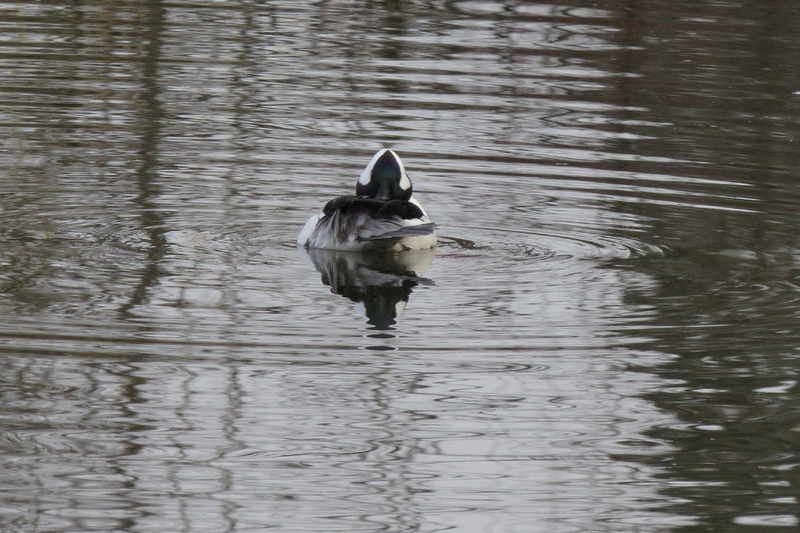 The main lake at Fernhill is hosting a nice variety of waterfowl, but most were distant or in the harsh sunlight. 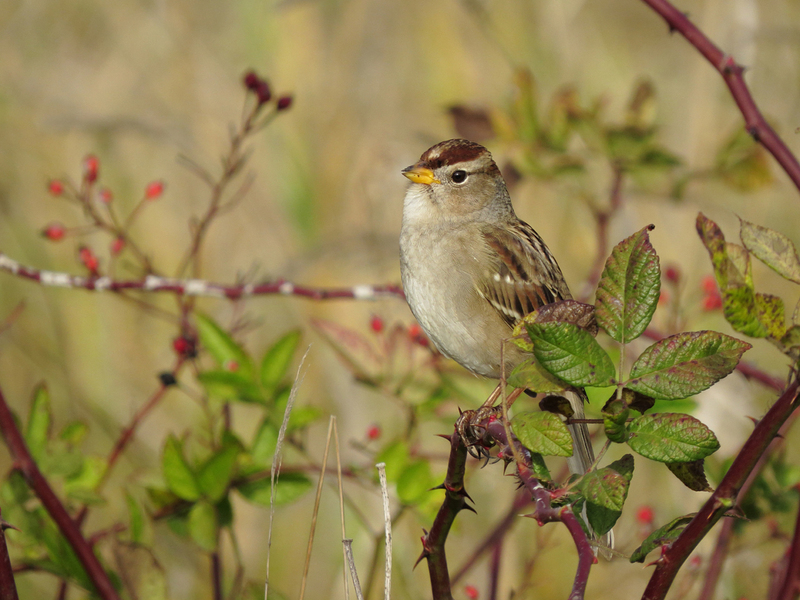 A Swamp Sparrow was a nice find, but stayed in the cattails to avoid being photographed. We have had a long stretch of sunny warm weather lately. 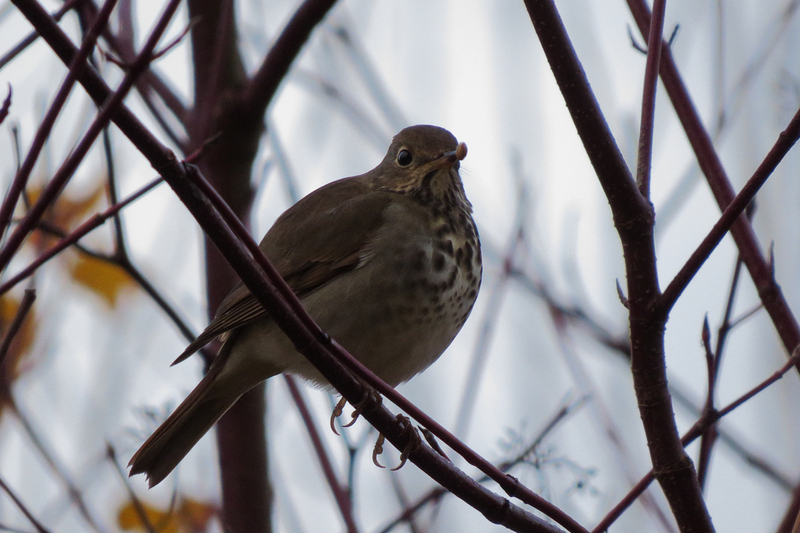 On one hand, it is lovely to be warm and dry on an outing. 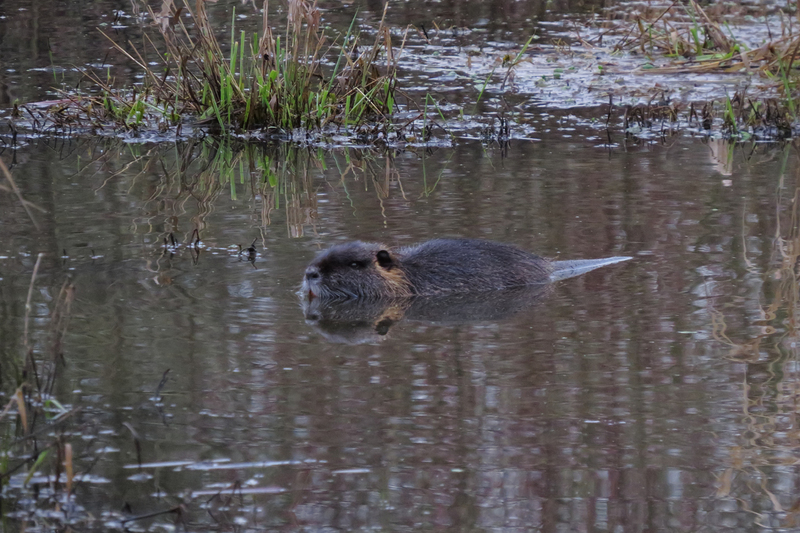 On the other hand, water levels continue drop and the harsh lighting makes for lousy photos. 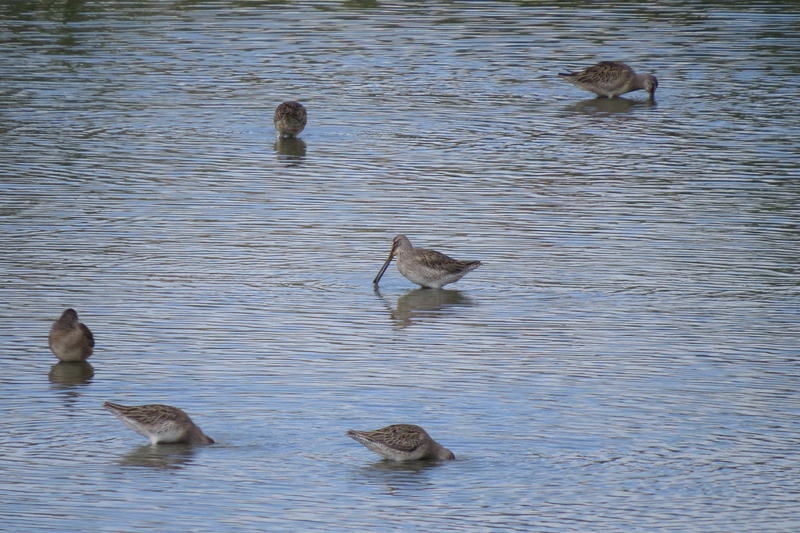 Nevertheless, here are some images from a recent trip to Fernhill Wetlands. 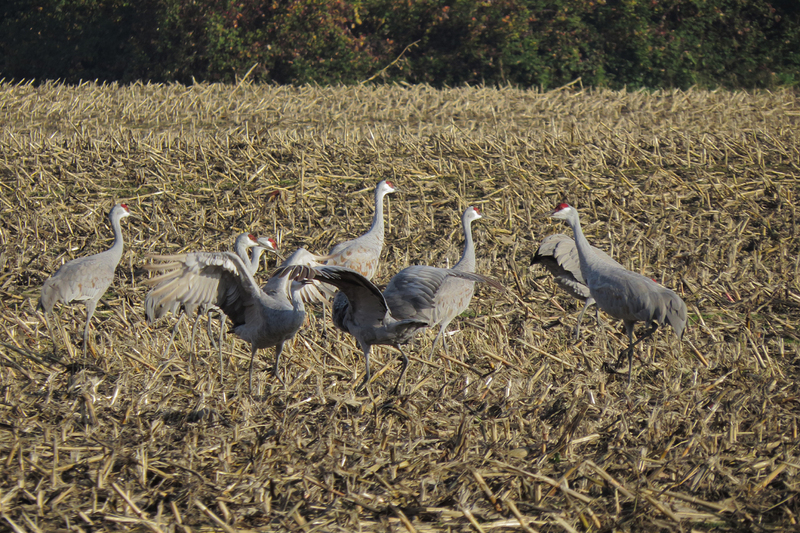 The Cackling Geese have returned for the winter. 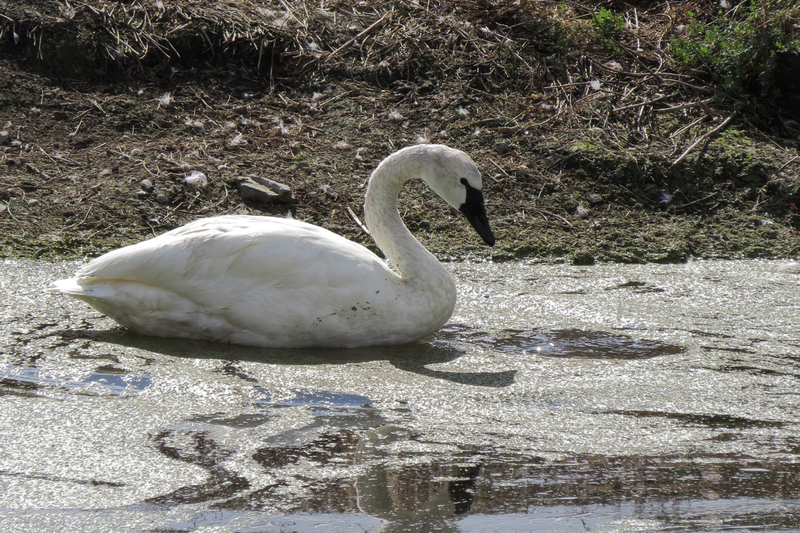 The Tundra Swan that has spent the entire summer at Fernhill is still around. Hopefully, some more swans will arrive soon to keep him company. It must feel odd to be the only one of your kind. It’s like being a vegan in Kansas (been there). 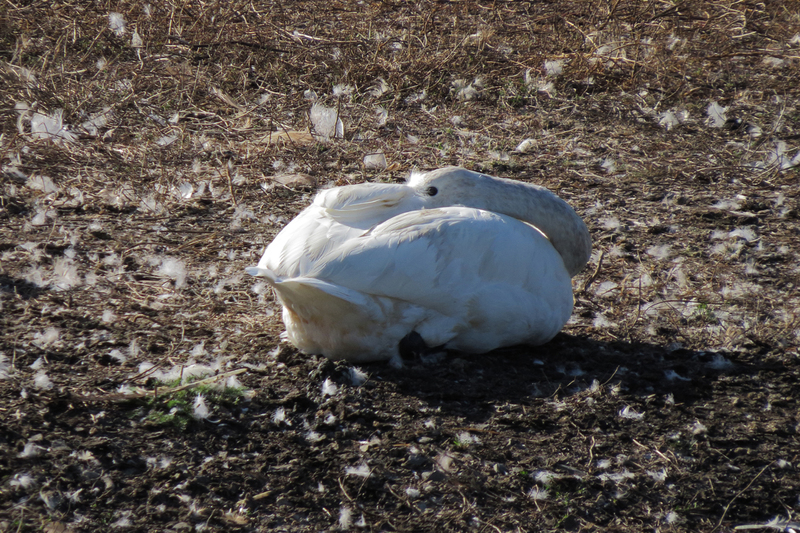 Here is a more traditional view of the Tundra Swan. 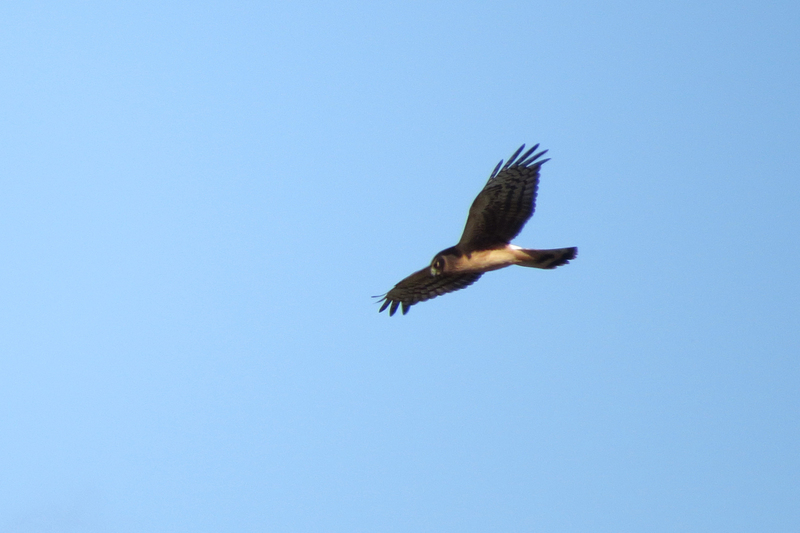 A small group of Northern Harriers flew over the wetlands while I was there. 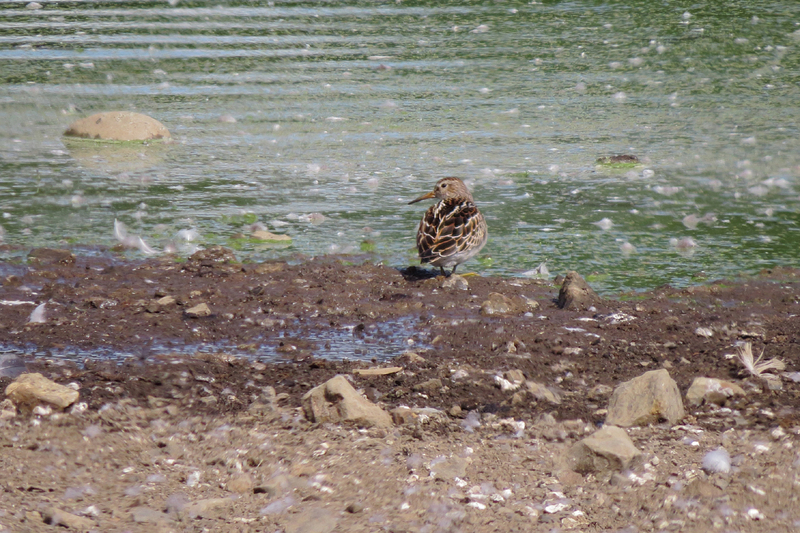 Shorebird migration is quickly winding down, so it was nice to see this Pectoral Sandpiper. 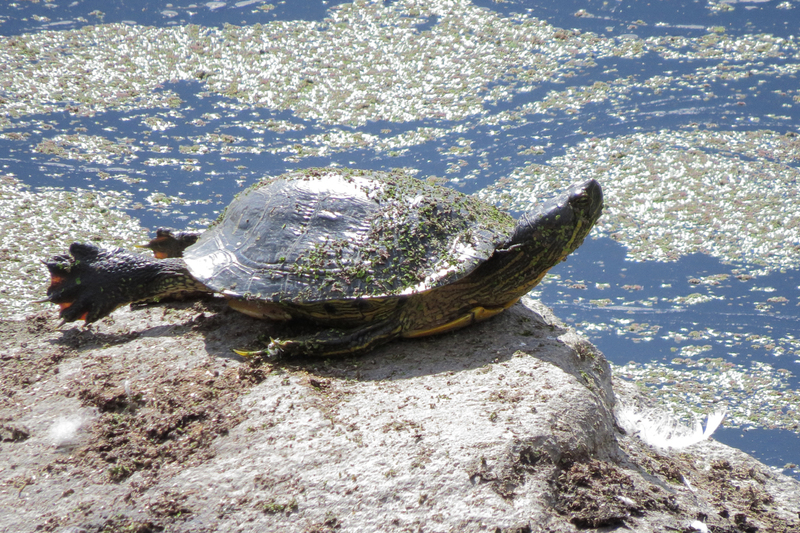 This is the first turtle I have seen at Fernhill. 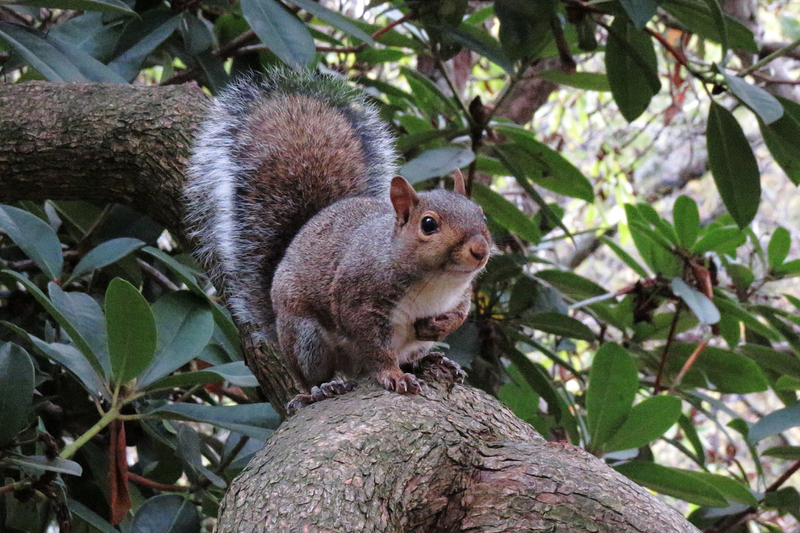 Unfortunately, I think he is a non-native Slider, a species common in the pet trade and frequently released into areas where they don’t belong. The Cove, in Seaside, is unique on the northern Oregon coast for the cobbles and boulders that make up its beach. 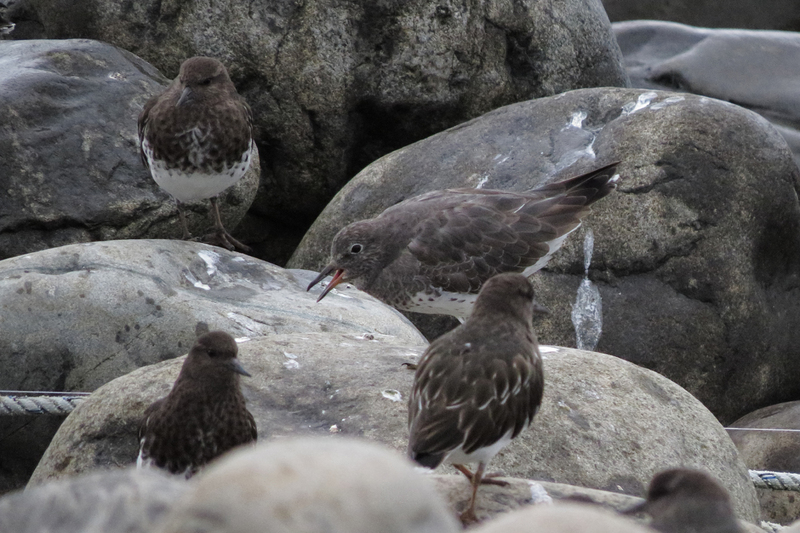 These gray stones regularly attract three species that are more difficult to find elsewhere; Heermann’s Gull, Surfbird, and Black Turnstone. 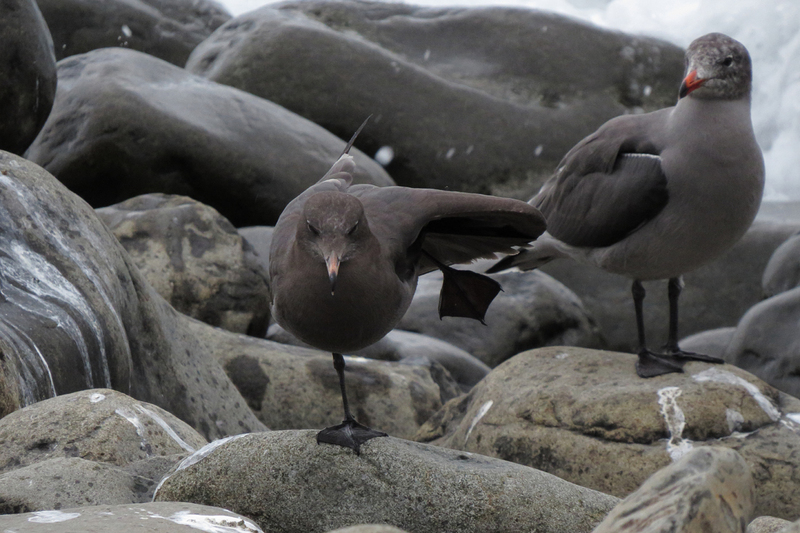 The color of the stone, light gray when dry, dark gray when wet, match these birds so well that individuals can be hard to see if they are sitting still. 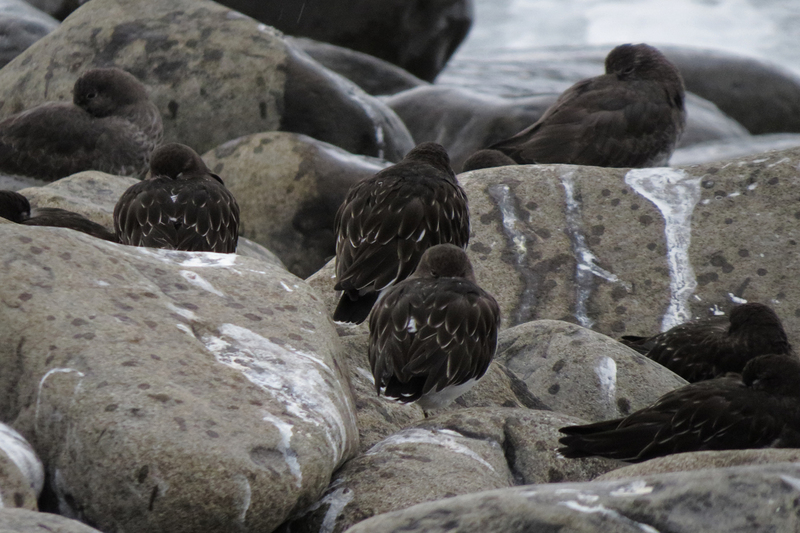 Add some cloud cover and you have a nearly monochromatic scene of birds, stone, sea, and sky. 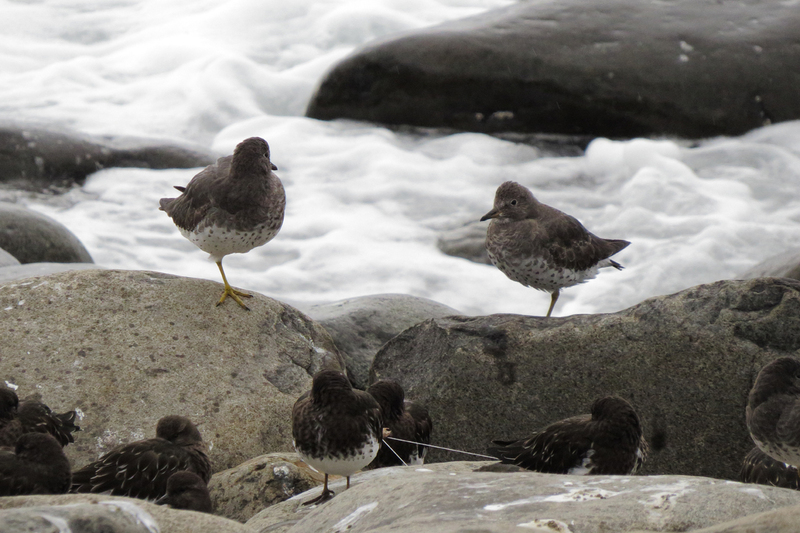 This Surfbird was calling loudly, perhaps uncomfortable being surrounded by Black Turnstones. 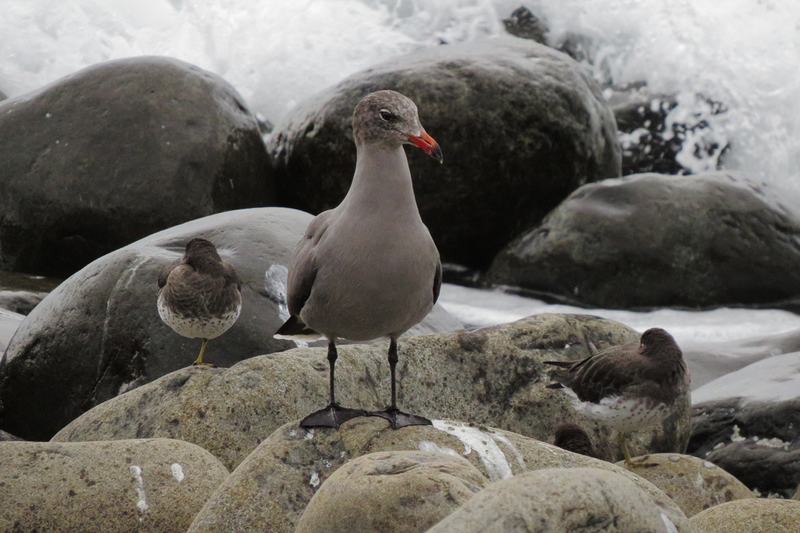 Heermann’s Gulls would be harder to see if they didn’t have that blood-red bill. 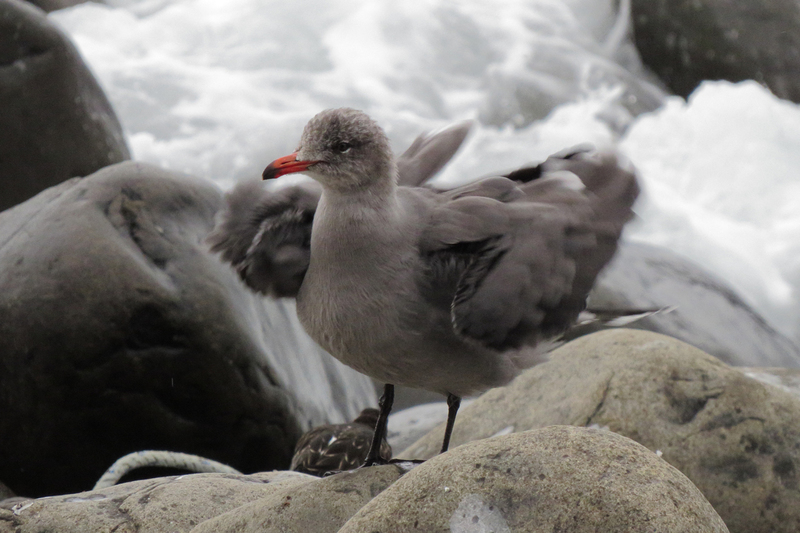 In breeding season, Heermann’s Gulls have white heads, but most birds acquire gray plumage on the head before they arrive in Oregon after breeding much farther south. 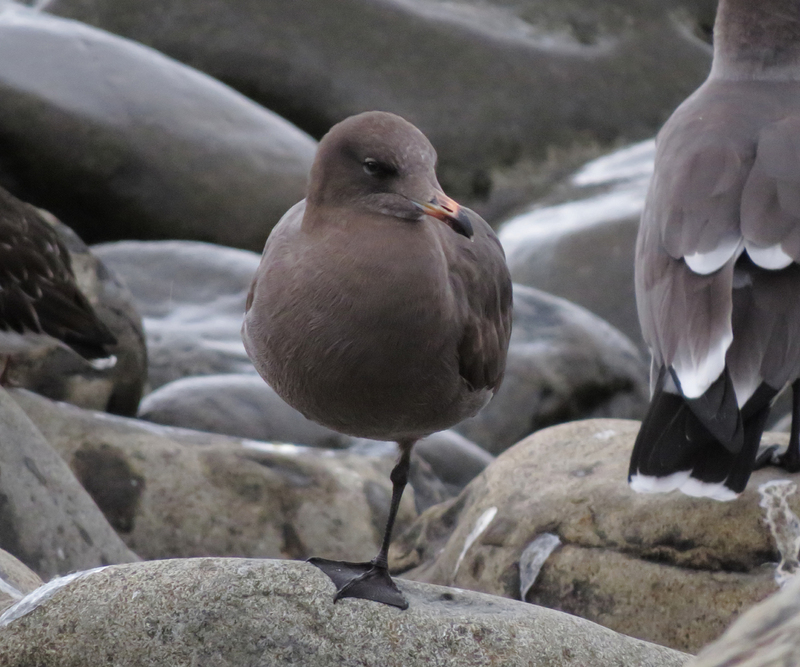 While I think adult Heermann’s are among the most beautiful gulls in North America, the first cycle birds are equally stunning in their smooth chocolate brown plumage. 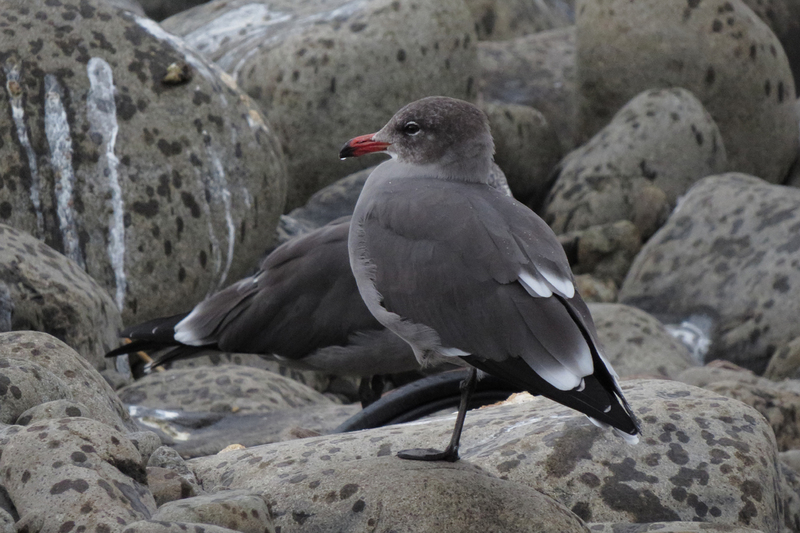 This is the first time in three years that I have seen a young Heermann’s Gull. 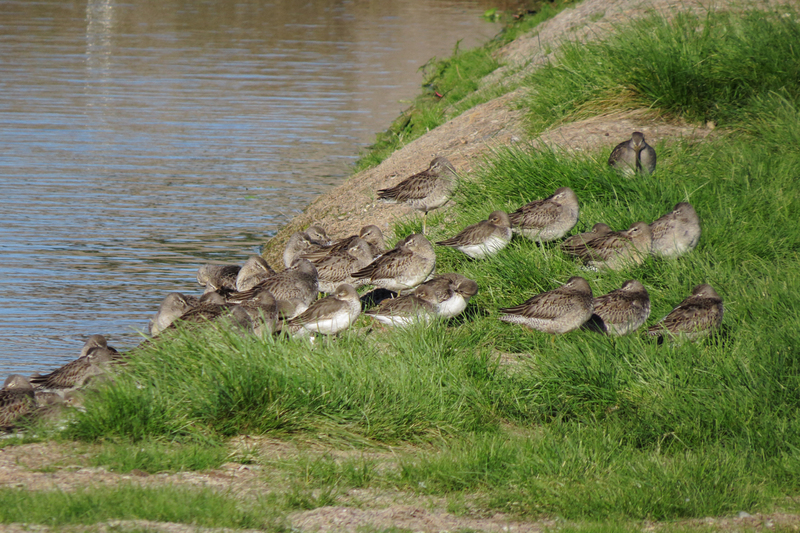 The two years previous saw a near-total nesting failure for this species. 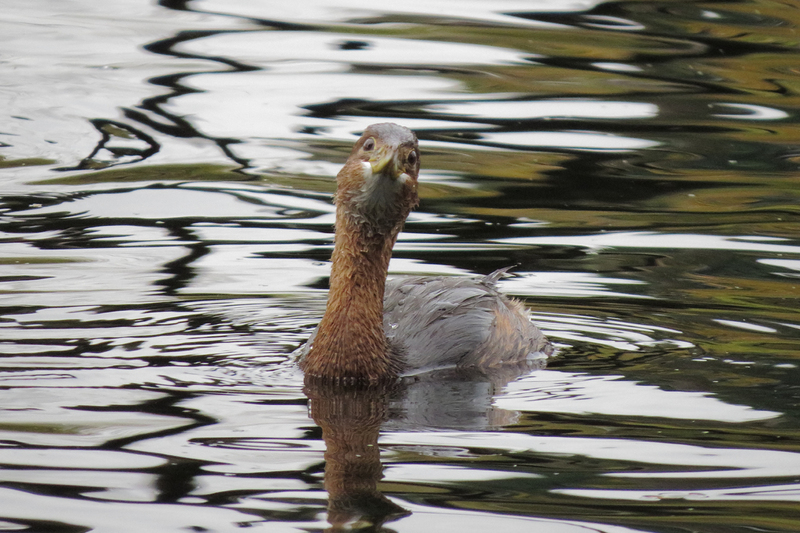 Warmer ocean temperatures reduce the amount of food available to feed nesting seabirds. 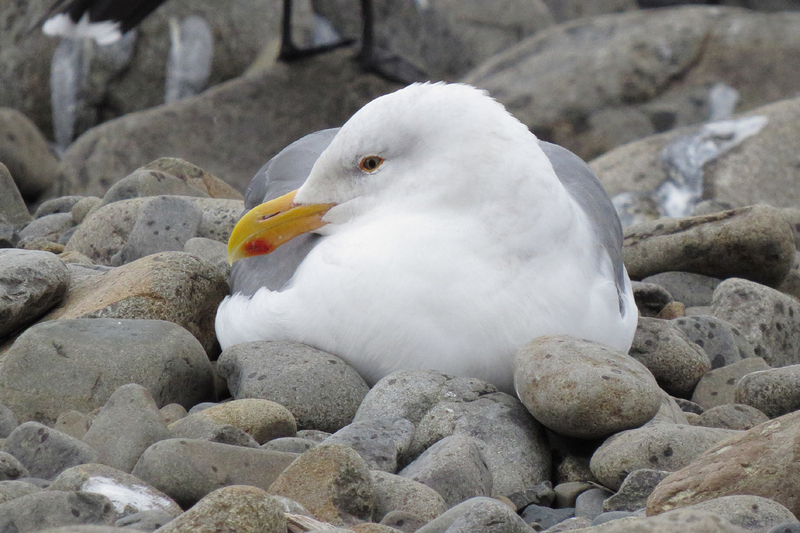 Sticking out like a sore thumb with his white head and breast is this Western Gull. 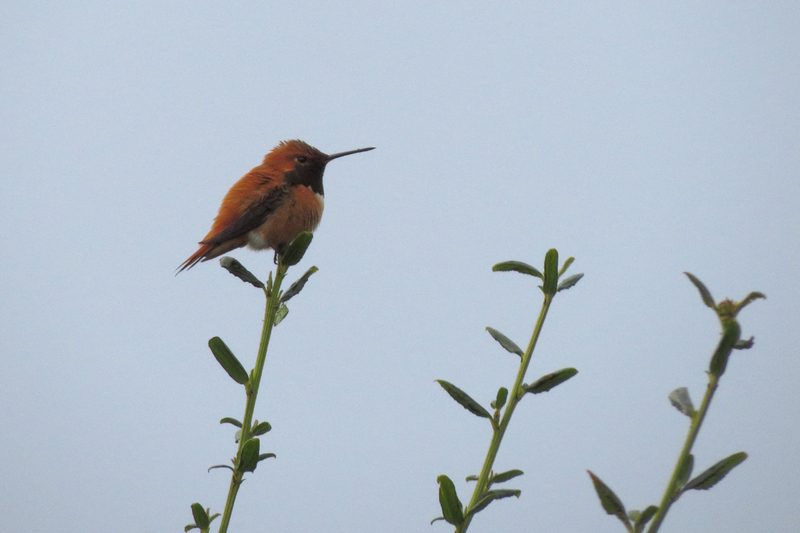 Note the massive bill on this bird. 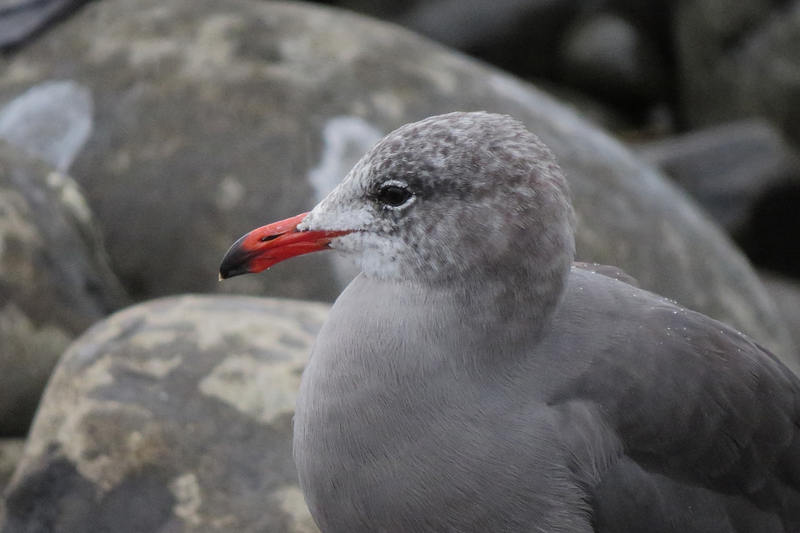 Gull diversity will be increasing on the coast in the next few weeks, much to the delight of gull fans like me.